This past weekend the La Petite Peach team were navigating the streets of NYC! We caught up with some of our favorite children’s clothing designers, and we also found some new favorites!! Starting Wednesday and for the rest of the week we will be sharing with you our NYC adventures. 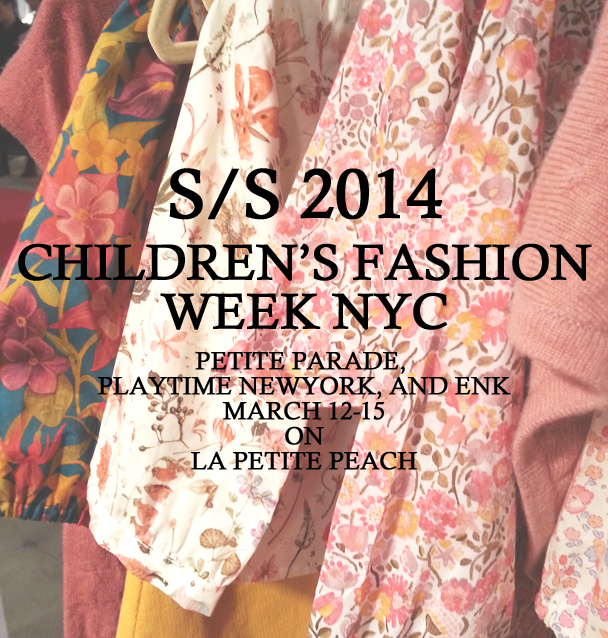 We had the privilege of attending Petite Parade, Playtime New York, and ENK Children’s Club. So stay tuned, we can’t wait to share with you our findings, captured by the wonderful Brookelyn Photography!